Choose the color for your fonts so texts will be readable. This will override your row color selection. Set the color for your headings. Select among default, light, dark or one of the primary colors. This will override your row color selection. The main parameter you have to set in columns(general tab) is the font color for the column. Add a shadow in your column. You can select among 3 different sizes, small, medium or large. Amazing clipping animations, colored and simple, for your columns since Movedo v 2.0. Select type of animation if you want this column to be animated when it enters into the browsers viewport. Define the animation delay and the background clipping color you wish. Creative Corporate demo is an excellent demo to see these animations. 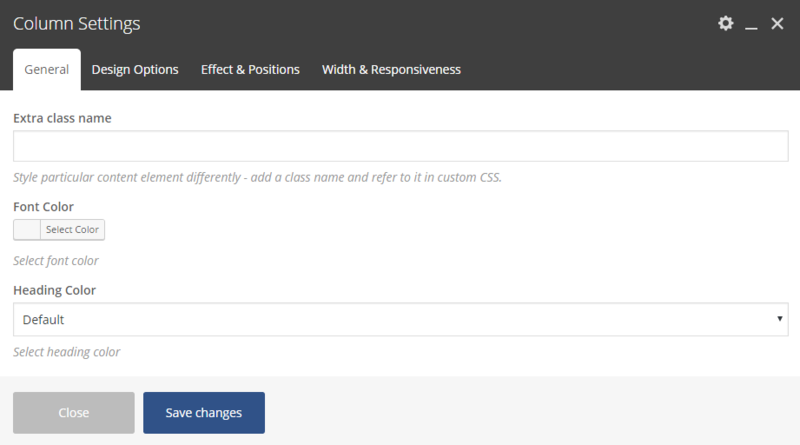 Here you can set background colors, paddings, margins and borders for the columns content. Select the vertical position of the content. 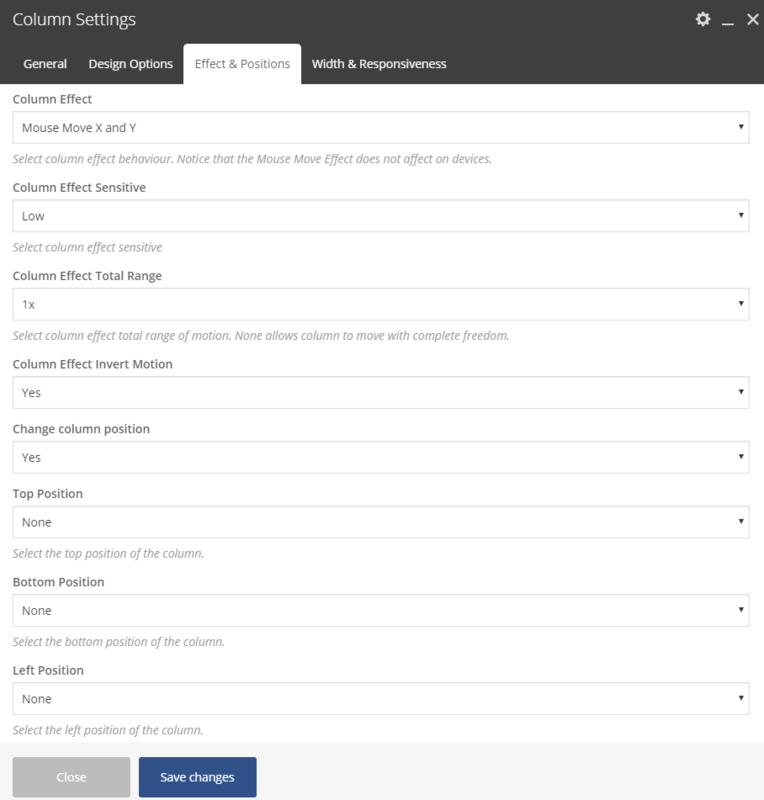 Note this setting is affected only if you have set Equal Height Columns under: Row Settings > Inner Columns > Equal Column Height. Define the top position for the column. Select among values 1x to 6x and -1x to -6x (consider that x is equal to 30pixels). With this method the spaces are being resized proportionally on devices. Define the bottom position for the column. Select among values 1x to 6x and -1x to -6x (consider that x is equal to 30pixels). Define the right position for the column. Select among values 1x to 6x and -1x to -6x (consider that x is equal to 30pixels). Define the left position for the column. Select among values 1x to 6x and -1x to -6x (consider that x is equal to 30pixels). Specify the z-index value of this column to create amazing designs. First of all, you can change the width of your column. 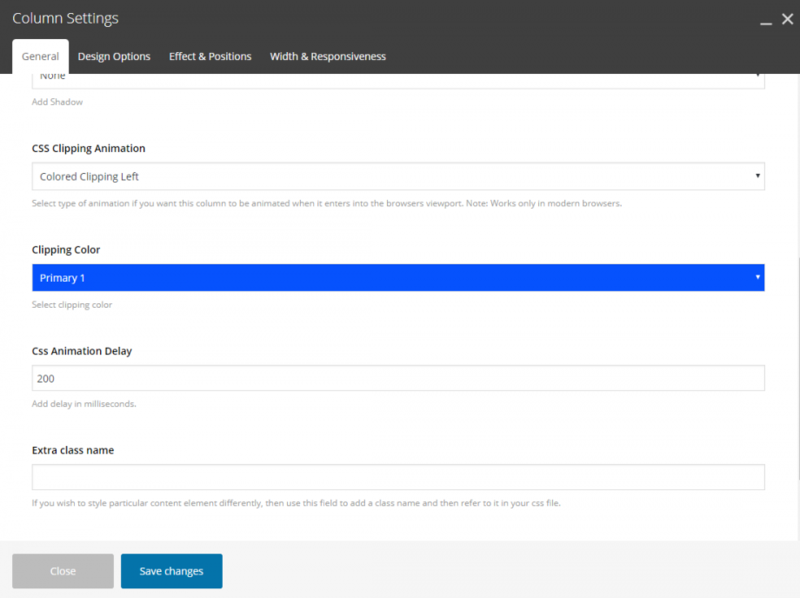 Additionally, you are able to set the responsive behaviour of your column in various devices or even to hide columns. 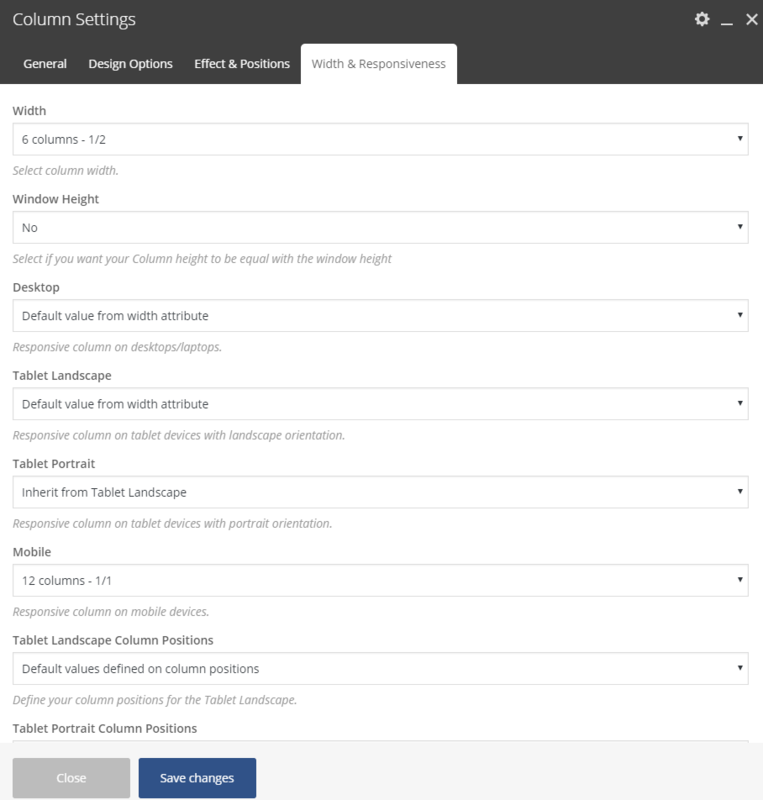 Last but not least, based on your preferences under Effects and Positions you will be able to specify the column behavior on devices in order to reset the column position or disable the parallax on tablet etc.